It took pressure from the mayor, but Metro Schools has stopped using a controversial lead-testing practice. 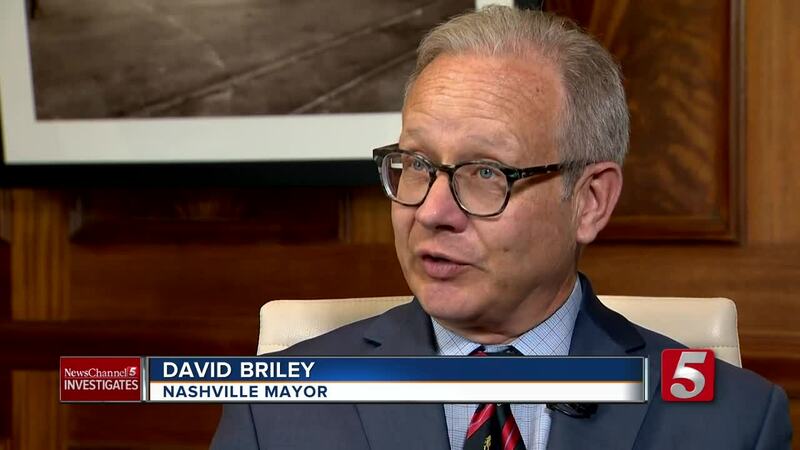 NASHVILLE, Tenn. (WTVF) — Metro Nashville Public Schools had appeared ready to backtrack on strict lead-testing standards adopted last year under pressure from Nashville Mayor David Briley. Tuesday night, after the proposed policy change was revealed online by NewsChannel 5 Investigates, the Metro School Board killed that proposal and sent it back to committee. Under the proposed rules presented by Schools Director Dr. Shawn Joseph's team, the district would have been required to replace water fixtures only if the lead levels exceeded 15 parts per billion. Last year, Joseph had committed to replacing any water fixture that tested above 5 parts per billion for the toxic metal. "I did not realize that we were so much more stringent than the state," said school board member Amy Frogge, who made the motion to send the proposed policy back to committee. "I think we are doing a great job in having a very stringent protocol. I want to make sure we are protecting children." Earlier in the day, MNPS spokesperson Rob Johnson had told NewsChannel 5 Investigates that: "While the policy the board is considering sets minimum standards, our administrative procedures are much more stringent and rigorous -- and are the same as for commercially bottled water." Experts say there is no safe level of lead, which is an invisible neurotoxin that has been proven to cause learning and behavioral problems in young children. Johnson said the district was following a model policy developed by the Tennessee School Boards Association. By adopting the higher lead standard as official policy, district leaders would have been allowed to ignore the agreement with the Mayor's Office without public notice or discussion.